If you have ever asked yourself whether it would be practical to learn to play an instrument, then you have probably also noticed the enormously high prices of music schools, which seem indispensable for learning. But since we are in 2018 and the path seems to be towards digitalization and comfort, there has to be an easier way. If you want to use your (limited) free time to express yourself musically, TheOne (Xiaomi) offers you a promising entry into the world of the creative arts with its smart keyboard. The TheOne ‘Light’ Smart Keyboard is a modern keyboard with its own app designed for the use of the keyboard, which enables the learning success that a music teacher aspires to achieve. So much for the manufacturer’s promise. For one month in the music school/music teacher you might already get rid of the amount that the smart keyboard costs as a purchase price. And then there is the price of a keyboard on a loan basis or purchase price. Of course the TheOne keyboard cannot replace the feedback of a professional pianist, but there are other possibilities. The focus is on the gadget’s user experience, which is to be guaranteed through playful learning of the keys and practice of classical and modern pieces. The manufacturer refers to the App. The app is available for free download in the PlayStore and AppStore. This takes over the function of the music teacher and should offer easy to follow steps for the newcomer, so that he becomes successful and powerful in shortest time of keyboard playing. Even for experienced players or those who are looking for a challenge, the game modes are sometimes complex to provide an incentive. The game principle is based on the console classic ‘Guitar Hero’. It is particularly interesting that the individual keys of the keyboard, 61 in total, also vary in volume depending on the strength of the touch. This is also referred to as touch dynamics. Thus the simulation comes very close to a complete piano. As with conventional keyboards, the Light offers the change between different modes, which include the modes of the audience magnet, the “Grand Piano“, or the function of an accompanying instrument in a band ensemble. The simple and simple design gives the impression of a minimalist instrument, which actually has a lot to offer in the background. 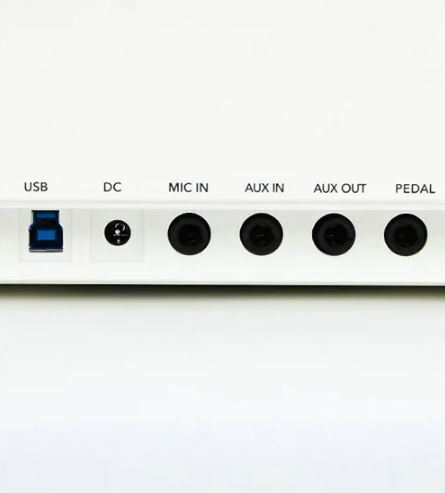 TheOne points out that with only four knobs and controls attached, everything important and necessary for the use of the smart keyboard is already available. Because it weighs just five kilos, it can also be moved (relatively) easy from place to place if you want to bring a little variety into the practice room and spontaneously use the living room instead for practice. 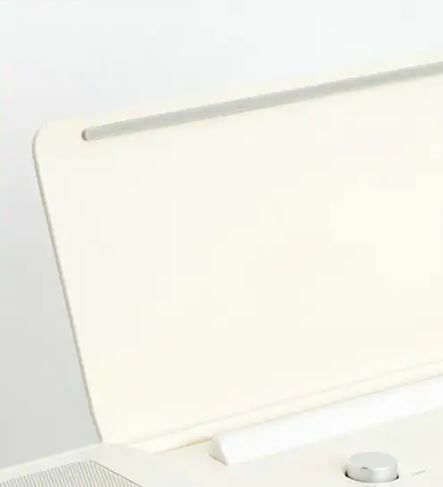 In addition to the built-in speakers (10 watts on each side), the keyboard also has a jack port for headphones, Bluetooth connectivity for connecting to a smartphone or tablet, and a microphone output. You can select new compositions for learning or playing through the cloud function on the app. This allows you to constantly expand the library and add to your repertoire. With or without a teacher? It is also exciting to use an AI check, which evaluates recorded material in terms of pitch, rhythm, tempo, etc. This information is used to generate feedback on your own playing. This should increase the quality of the experience in the long run and thus strengthen the user in his learning process. The ‘Light’ seems to be an interesting option, if you’re thinking about expanding your musical horizon and being guided through the learning process, so to speak. But it also has to be said that a keyboard for about 300$ doesn’t lend itself to an impulse purchase. If the keyboard as a musical instrument doesn’t hit the right nerve, maybe the Xiaomi Populele is the right challenge for 2019 and an entry into the world of stringed instruments for you. What do you think of the idea? Would $300 be too much for a keyboard as an entry-level model?